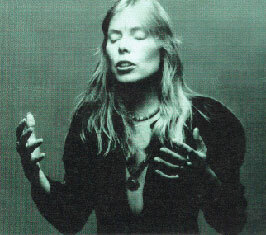 Joni was interviewed by host Gene Shay for Philadelphia's WHAT-FM Radio. After she sings Sugar Mountain on the program, she says, "I hope they record that sometime," referring to the rock band, Buffalo Springfield, which Neil Young had recently joined at that time. Sugar Mountain was originally written by Neil Young in 1964, as a lament for his lost youth, realizing he would no longer be allowed into the teen-only hangouts that had been the staple of his social life. Joni wrote The Circle Game in response to this song. Cool version. Neil recorded this in 68 at the Canterbury House on Division St in Ann Arbor, three doors up from my Grandparent's place on Catherine St.I was in HS and didn't know about the concert until it was over. So glad Neil came out with the album. Thanks for including this here Joni!!! !